You can find very modern cafe´s and restaurants in Nis. 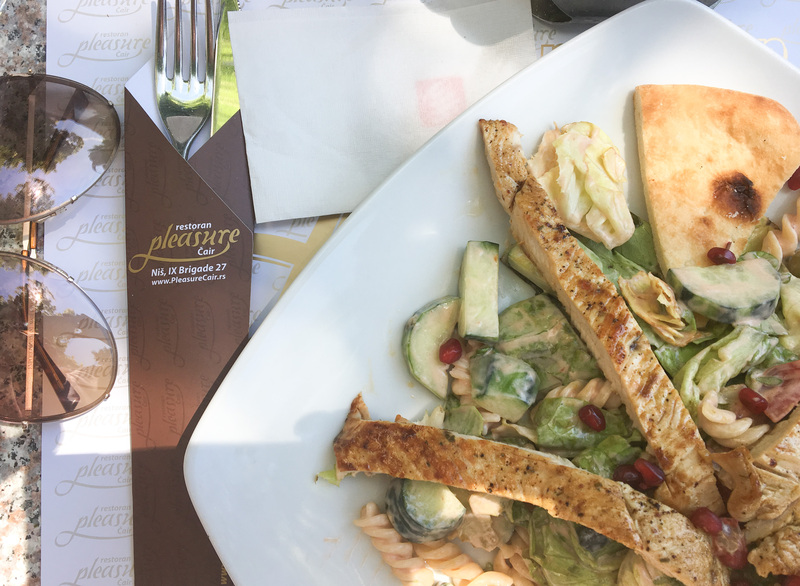 We went to one cafe called Pleasure, which was really nice. Grilled meet is a specialty in Serbia. You can get it in almost any place you go. And you get a lot! We went to this “Truckers place” in a small village one day. Check out the size of the sausage!